An identity key authorizes QRecall to capture (backup) items and identifies the owner of those items in the archive. You will need at least one identity key to capture items using QRecall. 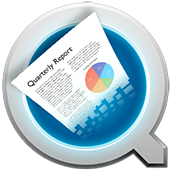 Free trial keys are available to evaluate QRecall. Permanent keys can be purchased for $40 each. Use this guide to determine how many keys you need. Try — Use a trial key to evaluate QRecall. Trial keys are free and expire in approximately 2 weeks. Personal Use — Purchase a permanent key to use QRecall on a single computer. Household — You may reuse your personal key for other computers you own and for other members of your household. A household is your primary residence (a house, an apartment, a dorm room). Anyone who make your household their primary residence may share your identity key (a spouse or child living with you, a significant other, a roommate). Sharing a key requires that each computer system be captured to a different archive. You will need multiple keys to share a single archive. Shared Archive — Capturing multiple computers to a single archive takes full advantage of QRecall's unique duplicate data analysis. Capturing multiple systems to a single archive requires that each computer have a unique identity key. Business Use — Commercial users must purchase an identity key for each computer system running QRecall. Quantity discounts apply when purchasing three or more keys. Restore — A key is not required to recall or restore items stored in an archive. You do not need a key to restore your files or operating system. You can also send an archive to anyone; They are free to download QRecall and recall items you've captured. Maintenance — A key is not required for archive maintenance. You can install QRecall and verify, compact, merge, and repair archives without an identity key.